What&apos;s going on in our world -- the one we actually live in -- connects strongly, for me, in this episode. It&apos;s that falsehoods and fake news have taken hold, in the halls of power of Government, in a way that it never has before. The most obvious example being their delusional belief that Climate Change is a hoax, and that we can keep on burning fossil fuels without consequence. To support that is a whole flotilla of false ideas being pushed by all kinds of organizations -- an effort that predates the Trump Administration by many years. Given the wholesale embrace by the Trump Administration - the whole Administration, not just Trump - of those ideas is causing an assault on truth fueled by the power of the government. The parts of the Environmental Protection Agency and Department of Energy that have worked on research into Climate Change, and on clean energy technologies, and on environmental enforcement, are being wholesale slashed from government. Budgets are being cut, information deleted from websites, scientists are being silenced, and more, all in the name of destroying the truth and protecting the oil industry. Yes, we&apos;ve had political leaders making decisions based on bad logic or even delusional beliefs. What&apos;s different is the leading positions of the USA government -- the levers of power -- are held by people determined to do anything including destroy the truth to enact their desired goals. A trivial example -- the other day Trump posted what was obviously a mistaken tweet. 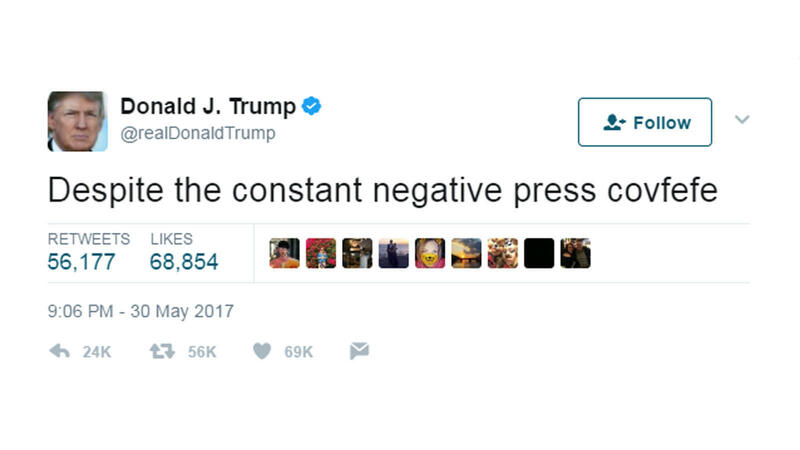 He clearly meant to rant about "negative press coverage" but made a misspelling that he didn&apos;t correct. The tweet generated a storm of making fun of Trump, and obviously it was a mistake that eventually got deleted. Why do I bring it up? When Press Secretary Sean Spicer was asked about it, he answered that Trump&apos;s inner circle knew what the word really meant. Uh....? Really? There&apos;s several other examples where Trump or someone else would say an obviously bogus thing, that is easily debunked, and rather than admit to the mistake they&apos;ll double down. Back in January, one spokesperson defended this practice with the phrase "alternative facts". While in some cases the truth can be a slippery thing, there are many things that are objectively determinable. In February, talking to a meeting of Sherrifs, Trump said “the murder rate in our country is the highest it’s been in 47 years” blaming the News Media for not publicizing this supposed fact. He added “But the murder rate is the highest it’s been in, I guess, 45 to 47 years.” In actuality, the murder rate is at the LOWEST it&apos;s been over the last 47 years. This is an easily provable lie. Why would he say such a thing? Is Trump laying the ground-work for the more brutal law-and-order regime that Attorney General Jeff Sessions is working to develop? Buzzfeed wrote up a list of 100 lies by Trump in his first 100 days in office. Most of these lies are easily provably false. For example the lie about the size of his inauguration crowd, which Trump wants us to believe is the largest inauguration crowd ever. Obama&apos;s was much larger, going by pictures of the crowd, and by ridership records on the Washington DC Metro system. A lie that matters a lot is Trump&apos;s claim that illegal aliens voted in the election, and that&apos;s why he didn&apos;t win the popular vote. The truth is that there&apos;s no evidence of widespread voter fraud. Such a claim seems geared to rationalize tightening control over the voting process. While it&apos;s useful to make sure votes are made by those legitimately allowed to vote, something else happens when Republicans revamp the voting process. They make it harder for legitimate voters to vote. UPDATE - Following the "terror attack" in London, US President Donald Trump unleashed criticism of London Mayor Sadiq Kahn saying "At least 7 dead and 48 wounded in terror attack and Mayor of London says there is "no reason to be alarmed!"" ( https://twitter.com/realDonaldTrump/status/871328428963901440) The problem with that is he&apos;s taking Mayor Kahn&apos;s statement out of context, leaving out what he really said -- namely that there was no reason to be alarmed by armed police presence in London. In other words, the response to the attack is extremely appropriate, with increased police presence, and the Mayor is reassuring the citizens that things are in hand. Donald Trump&apos;s statement unnecessarily inflames the situation, worsening relations with Great Britain which is an in important USA partner in the world. Further, Trump went on to use this fake news he created to double down on his ill-advised Muslim travel ban: "We need to be smart, vigilant and tough. We need the courts to give us back our rights. We need the Travel Ban as an extra level of safety!" ( https://twitter.com/realDonaldTrump/status/871143765473406976) That travel ban is illegal under US law because it of how it targets people based on religious affiliation and other problems. As a result, the travel ban has been struck down by court after court after court. So far I&apos;ve pointed to a pattern of lies, and believe me I&apos;ve just scratched the surface. There&apos;s ample evidence that the Trump Administration is routinely lying and is perhaps doing so strategically to further policy goals. What&apos;s the problem? Don&apos;t all politicians lie? The Bush43 Administration egregiously lied. The whole justification for the 2003 Iraq Invasion was a pile of lies. Everything that Secretary of State Colin Powell told to the United Nations Security Council in February 2003 was a lie. Bush43 lied about things big and small. I eventually decided the best course was to assume everything he said was a lie. While the Obama Administration had a much better track record -- Obama generally told the truth -- he lied from time to time. There are plenty of other examples, I just wanted to name those two to say that Trump is not the first Liar in Chief. Unfortunately there is a very worrying pattern in Trump&apos;s actions. The problem is if decisions are made as if the lie is truth. Believing the murder rate is the highest it&apos;s been in 47 years could lead to law enforcement policy changes that come down hard on crime. Indeed, it&apos;s reported that Attorney General Jeff Sessions wants to eliminate the civil rights protections enacted over the last few decades, some of which were a response to police brutality especially to minorities. A belief in widespread voter fraud could lead to tightened voting regulations that prevent legitimate voters from voting. It&apos;s been proved over and over that Republican-designed voting policy changes tend to disenfranchise minority voters who often vote for Democratic party candidates. We see Trump using the attack in London yesterday to double-down on the ill-advised unconstitutional muslim travel ban. The worry with Trump is his autocratic authoritarian tendencies. I hesitate to compare with the Nazi Party in Germany - because the comparison is not exact - but it&apos;s there. Trump (and others in his Administration) routinely uses the same "Lying Press" phrase, and more recently will slam truthful reporting as Fake News. He has gone so far as to call outlets like CNN or the NY Times as Fake Media. Eh? Really? The difference between Trump and Hitler is that Hitler worked in Politics for 10+ years before coming to power, and Trump is a newcomer to Politics. The similarity is that both know how to play an audience. Er.. What about Doctor Who? The history of Doctor Who includes many stories of mind controlling dictators. The Doctor has always fought those dictatorial paradigms. I believe that if The Doctor were to happen upon modern times he&apos;d find and destroy the alien mind control mechanism in the mass media or something. For example - the news satellite during the 9th Doctor&apos;s era - beaming fake news to keep the population under control, all to feed this giant space slug.